In recognition that the common unit program is designed for students across all undergraduate courses across the university, the program is managed by a group made up of representative from each discipline and chaired by the Deputy Vice Chancellor Teaching and Learning. Although teaching staff are drawn from all university schools, the program is administered through the School of Academic Language and Learning where it makes up one of three programs design to support students’ transition into higher education. The management framework and membership is encompassed in the terms of reference. Management meetings are held four times each year, unit review meetings at least twice a year. The Common Units Committee (CUC) is established as a standing committee of the University’s Learning and Teaching Committee of Academic Board. The CUC is responsible for the management, delivery and review of the University’s common units program. The CUC reports to Academic Board through the LTC. The CUC will meet at least twice per year and more often as required. The Theme Leader, Common Units will serve as the Executive Officer to CUC. Formal agenda and minutes will be kept. Non ex officio members are appointed by their respective executive manager for a period of two years. These periods are renewable. Be responsible to the Academic Board through the Learning and Teaching Committee for matters relating to common units, including assessing the implications of learning and teaching policies (such as the Common Course Rules) on the common units and advising accordingly. Be responsible for the development, coordination and quality assurance of common units; including initiating and overseeing the annual review process for each common unit. Oversee exemption and assessment matters and convene a review of these where necessary. To respond to other matters as may be referred to it from time to time by the PVCA or Academic Board. The theme leader and coordinators of each unit are responsible for the day to day running of the units. 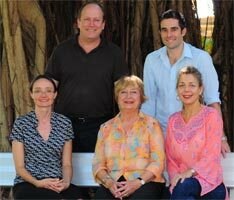 The teaching staff include casual and permanent staff from each discipline. Guidelines for coordination and teaching in common units are provided for staff as part of an induction process each semester. These guidelines are underpinned by the common unit program’s commitment to empower students through a supportive, flexible and developmental approach. In order have a consistent approach to student administrative matters the following Process guidelines are provided. If you encounter any general problems with your students over assessment grades, plagiarism or any other issue please email the unit coordinator and cc the Theme Leader Common Units and they will support you in managing the issue within guidelines. Following recent faculty policy, if you receive a complaint from a student your response to the complaint should be checked with the theme leader first. Students (Internal) should be told that the expectation for attendance at tutorials is a minimum 80%. However, although an 80% class attendance is encouraged it is not a compulsory university rule. One of the aims of the common units is to provide a range of modes and forums for learning. So, where students find, for timetabling or other reasons, that they prefer to work through materials online they should be allowed to discuss this option with you. If their request is made before census date they should be advised to change their enrolment to external mode. If it is after census date, they can continue to be marked as internal on the roll but participate as an external student. If you grade a students’ work as Fail, you should check in with the coordinator to arrange a double mark before that grade is finalised. Where a breach of academic integrity or plagiarism is suspected, you should take the matter to the unit coordinator who will work through these steps with you. 1/ Please keep a record of all proof and communications with the student to share with the unit coordinator. Also keep a record of estimated time spent on this process of communicating with the student and identifying and addressing breaches of academic integrity. 2/ Check through the Safe Assignment (or other program) report carefully to see whether “plagiarised texts” are reference lists, personal identifiers and other acceptable copied text. Each assignment will reflect a different ‘average’ % depending on the references, personal identifiers and other acceptable copied text. Check all reports that significantly differ from an average (variable maximum 20-30%) to see whether the highlighted text comes from these acceptable overlaps, or whether it is a case of overlap that should have been referenced. 3/ In the first instance, assume that the student has broken academic integrity because they have not yet fully understood the requirements of paraphrasing and referencing. Contact the student (preferably face to face or by telephone) to determine why they have submitted the assessment in an unacceptable manner. 4/ Offer the student an opportunity to resubmit for a maximum possible grade of a pass, providing guidance on how to do this effectively (see page 4 of http://www.cdu.edu.au/governance/Procedures/pro-092.pdf). 5/ Where an assignment has been “copied”, both parties should be contacted to explore what has occurred and the level of collusion (see page 1 of http://www.cdu.edu.au/governance/Procedures/pro-092.pdf). 6/ If you establish this is a real breach of academic integrity that the student refuses to address under your guidance, let the unit coordinator know. The unit coordinator will inform the Common Units theme leader who may contact the Complaints Officer to request a report on breaches recorded in the Register at: http://www.cdu.edu.au/oloc/. This step is only recommended when efforts fail to assist the student to submit work that meets academic integrity standards. In keeping with the university policy where the person has a prior registration of plagiarism or where the case cannot be resolved following the steps above, the case should also be referred to the Head of School. Assignment turn around for short assignments should be preferably by the next week; for longer ones amaximum2 weeks. All final assignments must be marked by the time the examiners’ meeting is held (except where students have extensions beyond this date). Students need to attempt to follow the due dates however we aim to be flexible with extensions (particularly for external students) within reason. If extensions are requested they should get them without penalty. If they are not requested then the students, lose 5% a day for the first If the assignment is submitted more than a week late without an extension they can only get a maximum of a pass and no resubmission. The common unit’s principle aim is to ensure students acquire a foundation in skills and knowledge which they apply and refine throughout their degree studies. Because the approach to assessment in common units is formative, it is important that they are given the opportunity to learn from assignment feedback and utilise this to improve the skills required in that particular assignment. Must resubmit within an agreed time frame. Where they have made every effort to complete the task correctly but have either misunderstood a fundamental requirement of the task or not quite met the standard their resubmission should be marked as normal. A marker is not expected to mark the faulty submission in detail – just sufficiently to ascertain the major flaws. If you are uncertain about whether a student should be offered resubmission discuss this with the coordinator. The following provides guidelines regarding general organisational issues and those relating to: curriculum, students, teaching staff, and the Common Unit Committee. With the theme leader, ensuring teaching staff are suitably qualified and experienced and have appropriate induction to the teaching and learning policies for Common Units and training in using Learnline before the semester starts. Prosepective staff should provide a CV. Incorporating feedback from evaluations in future curriculum planning and updating of content and materials in consultation with the UTT and Theme Leader. With the Theme-leader and review team conducting a review of the unit at the end of the year. See also Ongoing Review. Liaising with individual students whenever necessary. Providing the Common Units Management Group with details of staffing effort in order for funds to be distributed. promptly providing the Unit Teaching Team Coordinator with final assessment results at the end of semester.